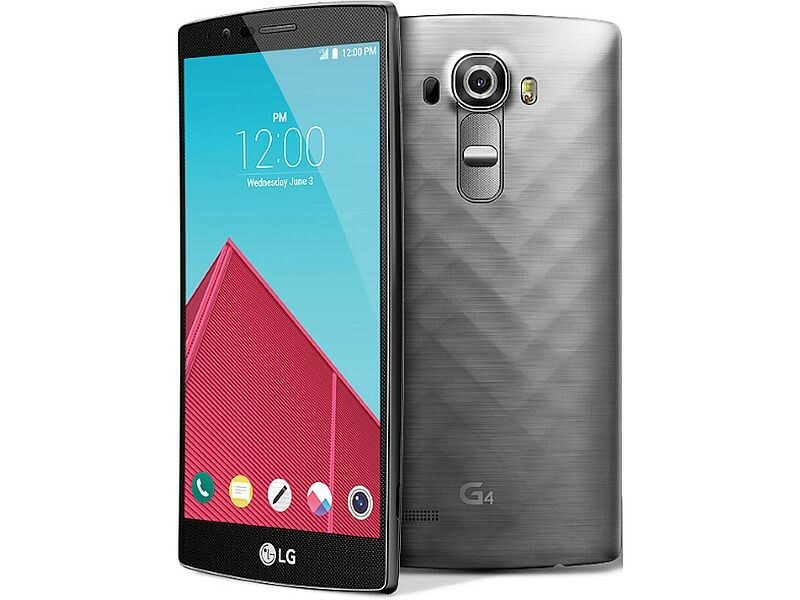 LG G4 is a popular Android Phone of 2015. We all know that the Android Marshmallow is giving users a tough time to wait till it gets to their phones but Lg G4 H815 has started receiving the new Marshmallow update. The Update is being released to the LG G4 devices in some regions. If you get the notification of this new update then update your device and if you don’t then in this post you will probably know how to manually Update LG G4 H815 to Android 6.0 Marshmallow Official. The manual update process is not very much difficult. If you are familiar with updating Samsung phones, this process is also similar. You will need to download the KDZ file firmware and flash it on your phone through LG Flash Tool. The new Android Marshmallow update comes with a bundle of new features. Seems like LG G4 users are on the top to get their hands on the latest Android M update. So, let us proceed to the process below. The LG G4 H815 has started receiving the latest Marshmallow update but it will take some time till the update releases to all the regions. The South Korean Company announced that LG G4 and some other LG phones will get the 6.0 update and they did what said. LG G4 has already started receiving the update. So, all the users who want this update can install the Android Marshmallow on their LG G4 H815 manually. You must be impatient about getting the update, you can follow our guide to update your phone. The step by step process to Update LG G4 H815 to Android 6.0 Marshmallow Official is given below. Before proceeding read the Disclaimer and necessary instructions. This process is only for LG G4 Model No H815. Do not try this on any other model. If you are not familiar with this process then you shouldn’t do this. Remember that Droidopinions.com will not be held responsible if something wrong happens with your device during or after the update process, Thanks. Before proceeding please check your phone’s model by going to Settings>>About Phone. Make sure it is H815 then proceed. It is recommended to back up the important files like contacts, messages, photos and videos etc. Charge your device upto 70% to avoid power failure issues. Your PC should have LG USB Drivers installed. Download the Marshmallow firmware on your PC and extract it. Now download the LG Flash tool and extract it. On your phone go to the Settings>>About Phone>>Software Information and tap on Build No seven times to activate developer options. No go back and enter into Developer Options, scroll down and enable the USB Debugging Mode. After that turn off your LG G4. Put your phone into the download mode by pressing the Volume Up button and connecting it to the PC at the same time. Now run the LG Flash Tool that you have downloaded and extracted in the first step. In the LG Flash Tool click on the little folder present in left side of the select KDZ file. After selecting that folder choose the extracted Marshmallow firmware that you have downloaded in the first step. After choosing the firmware click on the Normal Flash Option. Please note that there are two options i,e Normal Flash and CSE Flash. By choosing the Normal Flash option you will phone’s data will not be erased and firmware will be installed but if you choose CSE Flash option your phone’s data will be wiped out and your phone will be updated and restored to factory settings. So, you can choose any option you like. Now select the Start button and then click on OK on the next screen. Don’t mess with the options on that screen. 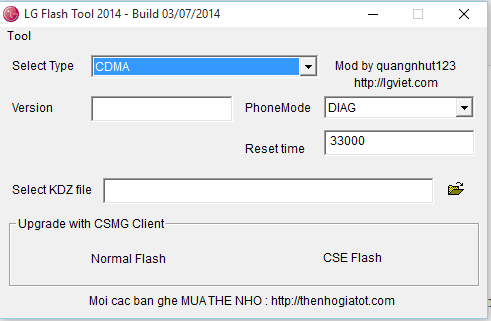 Now LG Flash Tool will start flashing the firmware. Wait for some time. When the process reaches to 80% your phone will restart itself. Don’t mess with your phone until process reaches to 100%. After the completion of the process your phone will reboot into the new Android 6.0 Marshmallow firmware. Wait till the home screen appears and enjoy the new Android Marshmallow OS on your device. So, guys your device is now successfully updated to the latest Android Version available. Navigate to the Settings>>About Phone>>Software Info and check the new Android Version. Hope you like our tutorial to Update LG G4 H815 to Android 6.0 Marshmallow Official. If you have any problems then let us know in the comments section. Please Like, Share and Subscribe. Comment below to share your views. Hi, I get the message: “Required info can not be found. Contact system administrator..” What am I doing wrong? Can i update my h815px by this h815 firmware ? Download link is gone. Has something happened with it? Thanks for letting me know. I have updated the download link and it is up now.